Head south on Washington towards the canyon. Turn right onto Canyon Crest Drive. Turn left onto Pinnacle Dr. At the round about take a left. HUB is the second building on the right. The HUB Twin Falls insurance office has served Idaho since 1995. 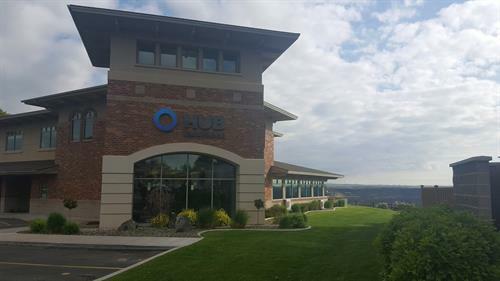 The HUB Twin Falls insurance office provides a broad scope of insurance products, including Crop, Farm, Benefits, Commercial and Personal Insurance. We take pride in the reputation we have built in the area and with our clients, carriers and associates. We are committed to provide you with superior product knowledge and customer service.